Whether you’re into surfing or just soaking up the sun, if you want to study abroad at the seaside we have some very attractive options for you. All of these beach-side locations are featured within the QS Best Student Cities 2018, which celebrates the world’s 100 best student cities. We could pretty much list every coastal city Australia has to offer in the Best Student Cities ranking – (which is all but one of the seven Aussie entries) but Gold Coast, ranked 87th, deserves a place here because you probably haven’t heard of it. The city boasts 52km of golden sands and 300 sunny days per year, and even has a suburb called Surfer’s Paradise. But aside from sunning yourselves, there’s plenty to explore here. The Gold Coast hinterland – known as ‘the green behind the gold’ – offers a fascinating selection of waterfalls, rainforests, mountains and national parks. Gold Coast’s highest-ranked university in the QS World University Rankings® is Griffith University, consistently ranked within the top 350 in the world. The city has a great student mix, with 20 percent of students at its internationally ranked institutions coming from abroad. Based in the United Arab Emirates, the combined metropolitan area of the three cities of Dubai, Sharjah and Ajman offers something for everyone and, the hot desert climate here will make you want to cool off at one of the clean and beautiful beaches nearby. Keep in mind that modest dress is legally required here, but standard beach-wear should be fine (though it’s not to be worn when walking around away from the beach). There are plenty of other interesting things to do in your spare time in Sharjah, including visiting the Eye of the Emirates, a 60m-high observation wheel offering views across Sharjah and Dubai; and admiring the beautiful Khalid Lagoon, which has the third-tallest fountain in the world and hosts the annual F1 Powerboat Race. The area is home to one of the United Arab Emirates’ highest-ranked universities, American University of Sharjah. Ranked 80th in the Best Student Cities ranking, San Diego is our Californian pick in this list of the best beach cities for students (though fellow Californian cities Los Angeles and San Francisco are also excellent options). Nicknamed ‘America’s Finest City’, San Diego has 113km of unspoiled coastline to enjoy, ranging from rocky coves to attractive surfing spots. One of San Diego’s many beach neighborhoods, Ocean Beach, offers a good variety of independent shops and restaurants to explore. The city itself is also known for being ‘America's craft beer capital’ and is a border town which is heavily influenced by both Mexican and American cultures, resulting in a wide range of cuisines to sample in its many restaurants. Of the universities in San Diego, the highest-ranked is the University of California, San Diego (UCSD), which is consistently in the top 50. The next of our best beach cities for students is one you might not expect. Hong Kong is incredibly well-known for being one of the world’s financial capitals, but not so much for being a great city for beach lovers. However, if you decide to study abroad in Hong Kong you’ll find you’re able to get away from the hustle and bustle of the city center by relaxing along the sheltered beaches of its rugged island coastlines. 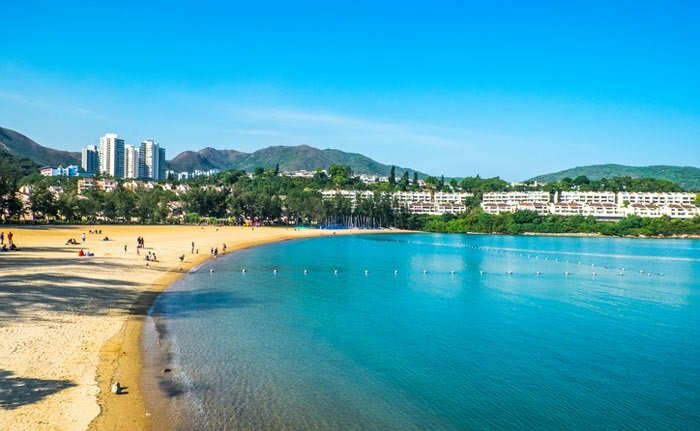 The most popular of these are found on the largest island, Lamma Island, while the Grade 1 Turtle Cove Beach offers a more secluded spot. Hong Kong is ranked eighth in the best student cities index this year, and boasts many of the leading universities in Asia, with the University of Hong Kong (HKU) the highest ranked. Brighton was a new entry in the Best Student Cities 2018 at joint 92nd, earning its best score for the student mix indicator, reflecting the size and diversity of its student population. 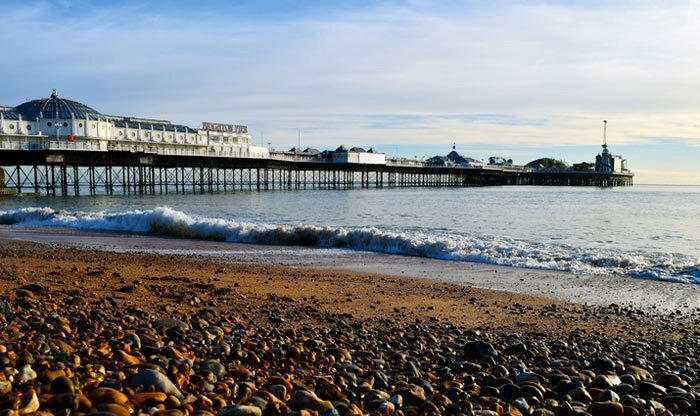 If you’re looking for a laid-back but fun-loving place to call home during your studies, Brighton is certainly one of the best beach cities in the UK (and one of its most popular tourist attractions). As well as relaxing by the seaside, there’s plenty of culture to immerse yourself in too, with the city hosting events like the Brighton Fringe Festival, the Brighton Festival (the largest arts festival in England) and Brighton Pride. 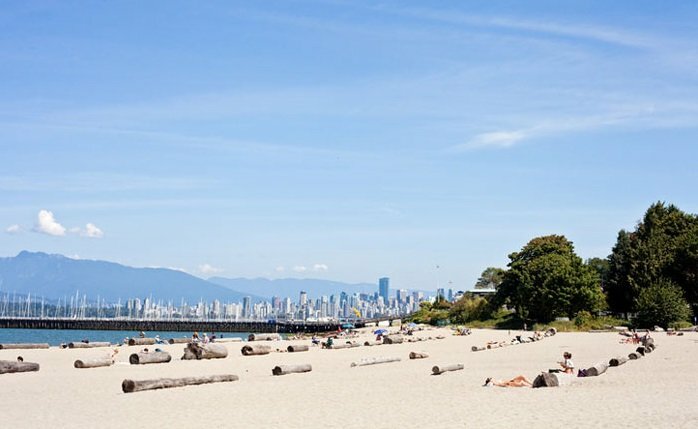 Ranked 17th in the Best Student Cities ranking this year, Vancouver has several large beaches, including the urban and picturesque English Bay, while Kitsilano Beach is the city’s answer to Los Angeles’ Venice Beach. Vancouver also typically has milder weather than most of Canada, and (in a total contrast from beach volleyball) the nearby mountains offer a great spot for snow sports. In addition to all it has to offer for lovers of the great outdoors, Vancouver also offers an array of brilliant nightlife, theatres and music – everything you’d expect from one of Canada’s most loved cities. It’s also home to the University of British Columbia, one of the country’s highest-ranked institutions. Last but not least in our list of the best beach cities for students, the Portuguese capital, ranked 50th in the Best Student Cities this year, overlooks the Atlantic Ocean with an attractive, and famously hilly, setting. While prone to becoming overrun with tourists in the summer months, students will be able to enjoy the city’s beaches in more peace during the quieter times of year – especially as Lisbon enjoys some of the mildest winters in Europe (temperatures can get as high as 18°C/64°F, even in January). It also has pretty much everything you could want from a European capital city: rich culture, character and history, great food, wine, music and nightlife. This blog post was originally published in January 2016. It was updated in May 2018.